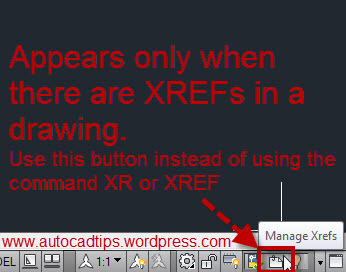 If you open drawings and want to know if there are any XREFs in the drawing, you do not need to open the XREF manager. Simply look at the bottom right corner of the screen in the status bar. 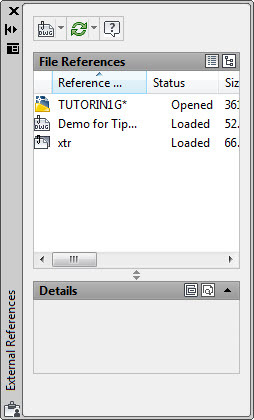 If a button appears with a piece of paper (document) and a paper clip (as shown below) the drawing does have XREFs. This entry was posted in BASICS, Settling In, TIPS, XREFs. Bookmark the permalink.